Written as a supplemental text for an introductory or intermediate statistics course, this book is organized along the lines of many popular statistics texts. 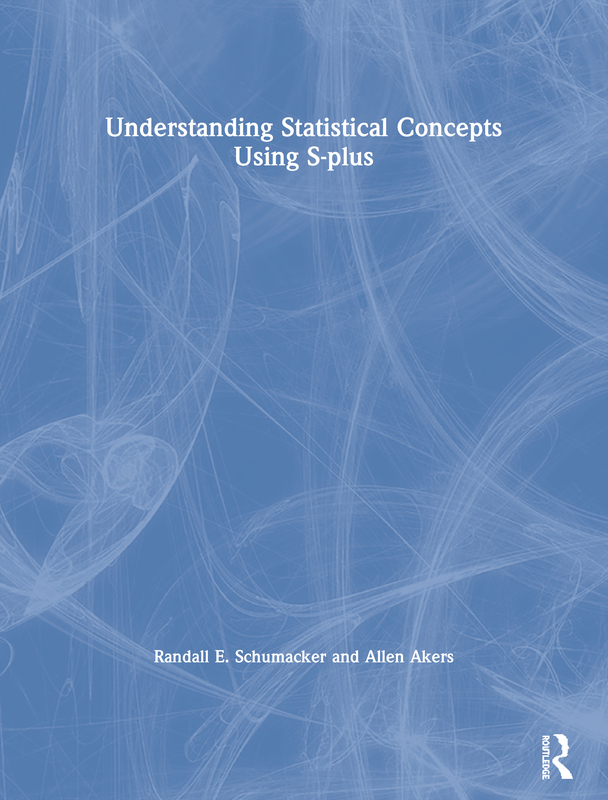 The chapters provide a good conceptual understanding of basic statistics and include exercises that use S-PLUS simulation programs. Each chapter lists a set of objectives and a summary. The book offers a rich insight into how probability has shaped statistical procedures in the behavioral sciences, as well as a brief history behind the creation of various statistics. Computational skills are kept to a minimum by including S-PLUS programs that run the exercises in the chapters. Students are not required to master the writing of S-PLUS programs, but explanations of how the programs work and program output are included in each chapter. S-PLUS is an advanced statistical package that has an extensive library of functions, which offer flexibility in writing customized routines. The S-PLUS functions provide the capability of programming object and dialog windows, which are commonly used in Windows software applications. The S-PLUS program also contains pull-down menus for the statistical analysis of data. A ZIP file containing programs that work in S-PLUS 6.2 for use with this book is available for download from http://www.psypress.com/resources/9780805836233.zip - please note that these scripts will only run in S-PLUS 6.2 and not later versions due to changes in the programming language syntax.